Thank you to Kid World Citizen for compiling these Martin Luther King lessons, activities, and videos! On Monday, many of us will have kids out of school, some of us will not have to work, and the news will be peppered with stories about good deeds and service projects. The government finally approved the federal holiday of Martin Luther King Day in the 1980’s, and in 1994 President Clinton expanded “the mission of the holiday as a day of community service, interracial cooperation and youth anti-violence initiatives.” Martin Luther King Day is more than just an extra holiday: it is a reminder of the Civil Rights Movement, of the struggles for equality, and of an incredible leader in US history. Through these Martin Luther King lessons and activities, I hope your children are inspired and encouraged to imagine what they can do to make the world a better place- and take action to work towards their goals. Fantastic list of books to learn about Martin Luther King Jr. Videos about Martin Luther King Jr. This BrainPop video (as usual) is a fantastic way for kids to learn about the life of Martin Luther King Jr. I love their clear, age-appropriate explanations of nonfiction topics for kids. Here is the actual speech by Martin Luther King for older kids to hear from the leader himself, the “I Have a Dream” speech given during the March on Washington. Finally, Kid President does a great job explaining the impact of Marin Luther King Jr, his legacy, and how kids can change the world! I hope that you enjoyed these resources to teach kids about the great Martin Luther King! Remind your kids that his legacy lives on through our actions, kindness, empathy and service. Becky of Kid World Citizen is an ESL and Spanish teacher, raising 5 bilingual and multicultural kids, sharing ideas to teach kids about world cultures and our planet through travel, food, music, celebrations, service, maps, art, and projects. Follow her on Facebook and Instagram. 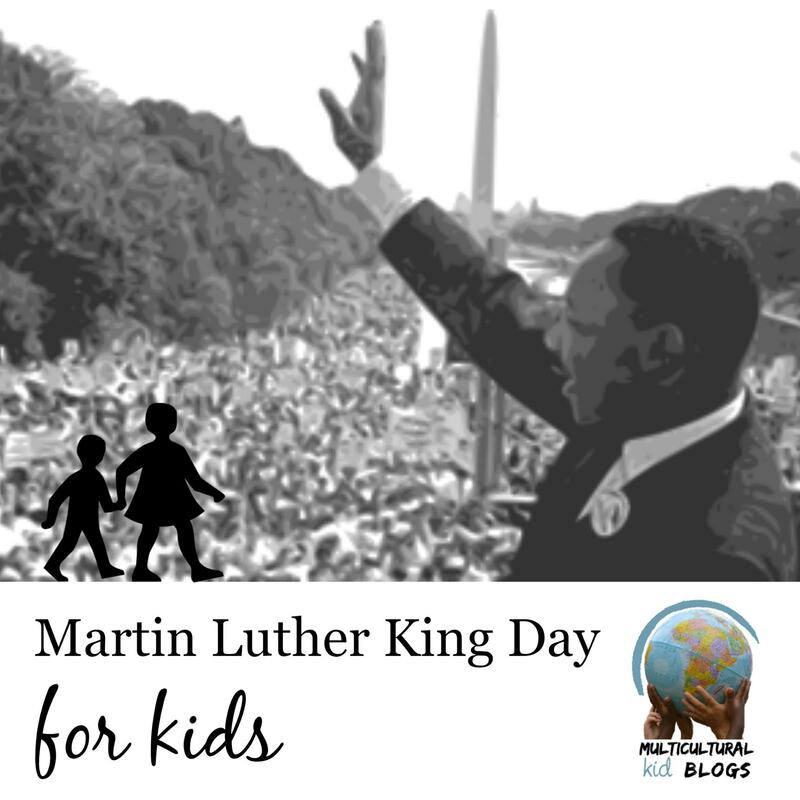 Welcome to our third annual blog hop on Martin Luther King Day for Kids! Find great ideas for commemorating MLK Day with kids and don’t miss our series from last year and 2015! For even more, be sure to follow our Black History Pinterest board!